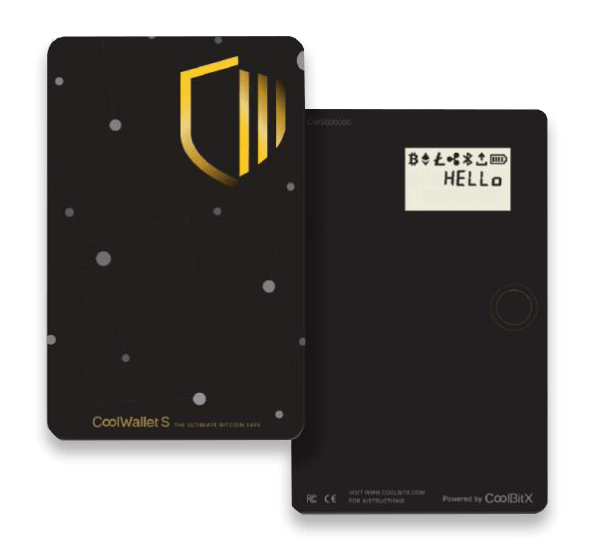 CoolWallet S is a hardware/mobile based cold storage HD (Hierarchical Deterministic) wallet, which was originally launched in 2016 by a Taiwanese company named CoolBitX. The mobile hardware wallet can be used to store, swap, send and/or receive cryptocurrencies with the single click of a button. 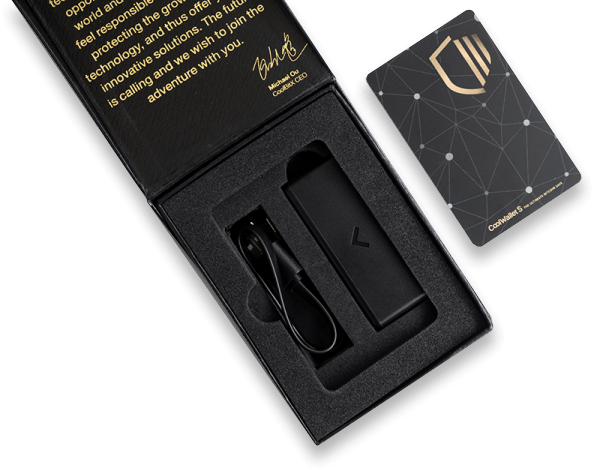 Unlike other hardware wallets like Trezor or Ledger, which needs to be connected to a computer or laptop via USB, CoolWallet is designed to connect to a smartphone via Bluetooth or NFC (Near Field Communication). Its physical appearance also differs from the other cold storage wallets, in that it looks exactly like a credit card with a button and an integrated display. With a major strategic investment from SBI Holdings (formerly known as Soft Bank) in 2018, the company launched the S version of its wallet named CoolWallet S. The main objective behind this product is to provide a user-friendly, secure, sleek and lightweight mobile-based hardware wallet for trading and securing cryptos on the go. As it uses a highly-secure element (SE) to store the private keys, it is virtually impossible for fraudsters to steal coins from this wallet. In addition to passcodes and touch ID, CoolWallet also makes use of facial recognition to provide 2+1 Factor Authentication in order to secure the customer’s digital assets. 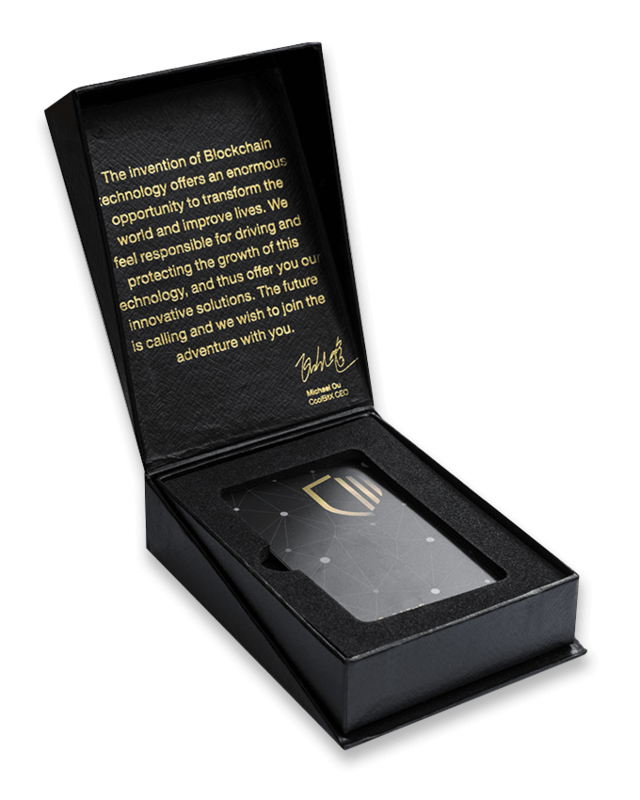 Similarly, this credit card-sized wallet provides a complete offline storage for users to securely store their crypto-based assets. Apart from being highly durable, CoolWallet S is also waterproof, shockproof, tamper-proof, temperature-resistant and extremely simple to store and trade cryptos on the go. CoolWallet S can be purchased from its official website for $99 (€87). The CoolWallet website even has a combo offer of two devices: CoolWallet S Duo for the fantastic price of $159. 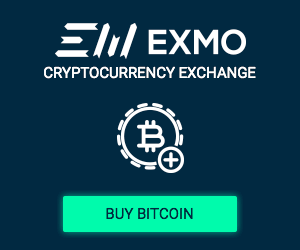 Bitcoin (BTC), Bitcoin Cash (BCH), Ripple (XRP), Ethereum (ETH), Litecoin (LTC), Horizen (ZEN), Binance Coin (BNB), TrueUSD (TUSD), WETH (WETH), JoyToken (JOY), ZPER (ZPR), Cortex (CTXC), USD Coin (USDC), BitDegree (BDG), Formosa Financial (FMF), Dai (DAI), 0x (ZRX), Gemini Dollar (GUSD), Metal (MTL). Once you have exhausted this query, we recommend for you to go back to the questions’ list to clarify any other uncertainties you may have on this wallet. This wallet does not support IOTA, Dash, NEO or Stellar. CoolWallet makes use of the BLE (Bluetooth Low Energy) for connecting to a smartphone or a tablet. The mobile app for CoolWallet is available for both Android and iOS platforms. The minimum version needed for iOS is 9.1, whilst for Android-based devices, the minimum of 5.0 version is needed to use the wallet. As for the BLE version on your smartphone, you need to make sure you have the minimum of BLE 4.0 software available. To download the Android app, click here. As for the iOS version, it can also be easily accessed by clicking on this link. Once you have ensured you indeed have the above components, you can get started with the wallet’s setup. Next, you will be taken to a new screen which displays two buttons: Create, Recover. Tap the Create button. You now need to decide how would you would like to generate the recover seeds, whether via Card or App. It is highly recommended to select ‘By Card’ option, as it is considered more secure. Now, the seeds (which are in numeric format) will be displayed on your wallet, one at a time. Press the button on the wallet to move to the next word. Carefully note down all the words of the recovery seed on the given recovery card. Alternatively, you can store it as an image file and keep it somewhere secure. Next, you need to calculate the sum of all the seeds and type the answer in the box provided. Once this is done, tap the Verify button. After you successfully complete the verification procedure, tap the Create Wallet button. Congratulations! You have successfully created your wallet account on the CoolWallet S device. It should not take more than 15 to 20 minutes to finish setting up your wallet. Once the sender completes the transaction, you should be able to see the cryptocurrencies on your wallet. 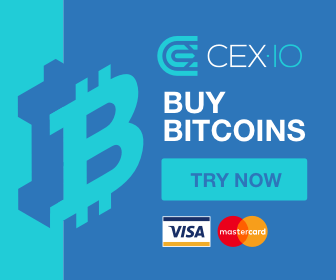 Follow the steps mentioned below to send any of the supported cryptocurrency from CoolWallet S to another cryptocurrency wallet. At this stage, it is assumed that the user would have already deposited some cryptos on the wallet. Open the CoolWallet app on your phone. Tap Send, located on the bottom of the screen. Enter the address in the To field section, either by scanning the bar code or pasting the address manually. Next, select the cryptocurrency you would like to send from the drop-down menu. Finally, tap the Send button. Congratulations! You have successfully moved out the cryptos from CoolWallet S to another wallet. In addition to storing, sending and receiving cryptos, CoolWallet S allows users to trade or exchange cryptocurrencies by integration with Changelly exchange. To find out more information about exchanging cryptos, we recommend you to check out our detailed review on Changelly Exchange. The communication between the wallet and smartphone is encrypted using AES 256 standard, to ensure security measures are taken. Since it uses a dedicated passcode for pairing, it is not possible for any new or unauthorized device to communicate or retrieve data from the wallet. What’s more, the secure element chip that holds the private keys is an CC EAL 5+ certified S.E. Chipset, which is equivalent to the FIPS-compliant security level used in military equipment. Since it is impossible to pair the wallet with unauthorized devices, users’ funds are not at risk, even if the wallet is lost or stolen. CoolWallet S also allows users to authenticate transactions through Touch or Face ID, which further safeguards users’ assets, even if both the wallet and phone are lost or stolen. CoolBitX claims that it is almost impossible for hackers or fraudsters to break and get the private key out of the chip. Since CoolWallet S makes use of a patented “Cold Compression”, it is impossible for a hacker to disassemble the card, place an intercepting device and restoring the card to its original state. What’s more the card switches off its display and disconnects itself from the phone if inactive for more than 1 minute, further guaranteeing security. Like all other hardware wallets, CoolWallet S also allows you to recover the funds, in case your wallet is lost, broken or stolen. First, open the CoolWallet app on your phone. Next, pair your new wallet card with the app. Tap the Recover button displayed on the screen. Enter all the words of the recovery seed correctly. Note: even if you enter a single number incorrectly, it will not be possible to recover your funds. Congratulations! You have successfully recovered your CoolWallet S.
Generally, the users on Reddit, Twitter or other social media platforms are more fascinated with the physical appearance of the CoolWallet S, as it can be easily carried in the user’s pocket if and when on the go. 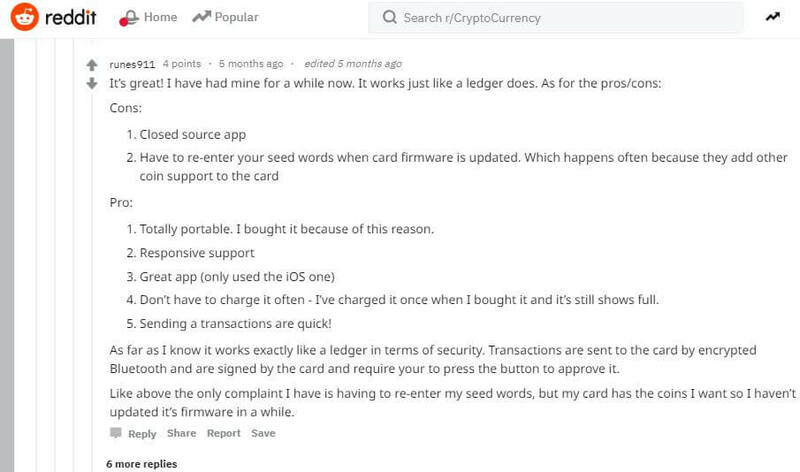 Since it is a mobile-based wallet, users need not worry about carrying a cable to connect the card to a computer. Many investors feel that it takes less setup time when compared to other hardware wallets like KeepKey or Trezor. They also feel that it is relatively easy to create the wallet account on CoolWallet S as there is no need to install any additional apps for every cryptocurrency, like in Ledger. 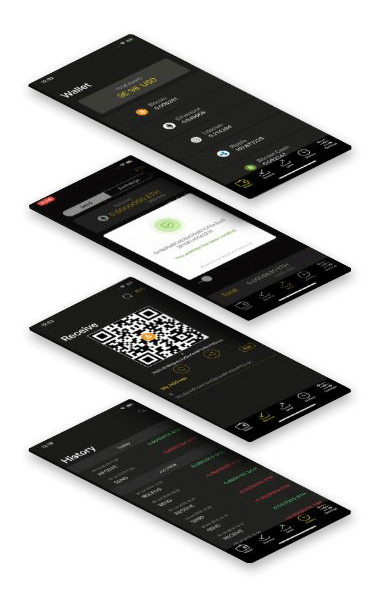 Tech savvy users find this wallet very helpful, as the mobile app is packed with a lot of customizable options related to security, user interface and more. Both CoolWallet and Ledger fall under the category of hardware wallets that offer utmost protection to the user’s cryptos. While CoolWallet is a mobile-first wallet, Ledger Nano S wallet can be connected to both the computer (via USB). Ledger offers support for a large number of cryptocurrencies when compared with CoolWallet. However, CoolWallet is clearly the winner, when it comes to ease-of-use and accessibility. However, In 2019 Ledger announced the Ledger Nano X which will be a direct mobile/hardware wallet competitor to the CoolWallet S.
Regarding the security, both wallets take extensive security measures like encrypted communication and two-factor authentication to protect customers’ funds. When it comes to price, Ledger is less costly when compared with CoolWallet S. Ledger is ideal for those who wish to trade different types of cryptos whereas CoolWallet S is best for someone who is interested in only the top cryptocurrencies. On the plus side, Coolwallet S allows its users to swap cryptos within the app itself thanks to their partnership with Changelly Exchange. Both CoolWallet and Coinbase mobile wallet allow users to send, receive and store cryptos on the go. Both wallets support ERC20 tokens. Even though Coinbase offers exceptional security for the customers’ funds, CoolWallet has a slight edge since it is also a hardware wallet as opposed to Coinbase’s mobile app. Both wallets allow users to recover funds, in case the device is lost, stolen or broken. Coinbase mobile wallet doesn’t provide any option to exchange assets from within the app, whereas CoolWallet allows users to trade cryptos via integration with Changelly Exchange. Since the Coinbase wallet app can be downloaded from the Play Store or App Store for free, there is no investment required. 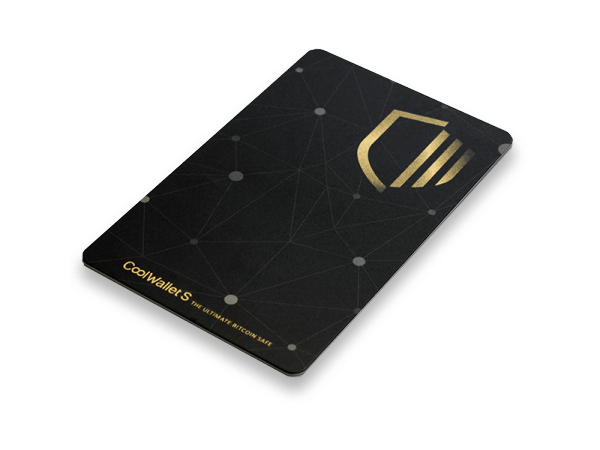 However, users need to buy the CoolWallet S card to secure their cryptos. Coinbase wallet is ideal for novice or amateur traders, whereas CoolWallet is perfect for regular or serious traders. The Ledger Nano X is the latest hardware crypto wallet offered by Ledger and it is designed to be the Bluetooth enabled Ledger Nano S on the go. Formerly known as Toshi, Coinbase Wallet is one of the most secure cryptocurrency wallets within the crypto market, where customers are able to store digital currencies.